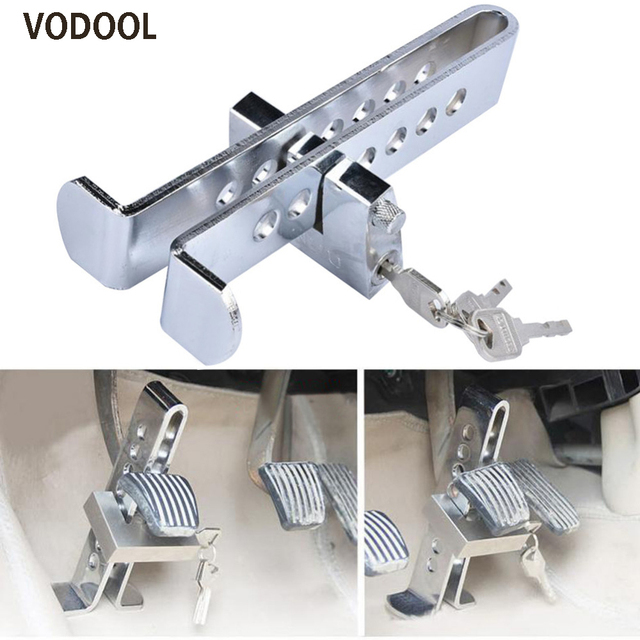 Auto Brake Clutch Pedal Lock: It is solid Steel,100% Safe, no thief can conquer it! Auto Brake Clutch Pedal Lock 1: Car Steel forging, effective security. Auto Brake Clutch Pedal Lock 2: Cut off,can not pry, drilling do not wear,cut fixed!